Malaysia is now home to companies that produce halal bottled mineral water, and ones that organise halal speed dating session, where the single women are chaperoned during the sessions. It’s now also home to an Islamic-compliant airline. This past Sunday, Malaysia’s first Islamic-compliant airline Rayani Air operated its first flight from Kuala Lumpur to Langkawi. Given that the airline industry is quite competitive, this airline is positioning itself as a low-cost carrier and it will be competing with the likes of Malindo and AirAsia. However, while it may sound like just any other airline, here are a few things that make this airline entirely different. Managing director Jaafar Zamhari mentioned that all Muslim flight crew should wear a hijab while non-Muslim crew are supposed to be decently dressed. If there’s one thing that you can be sure about this airline is that there won’t be any alcoholic passengers on board. 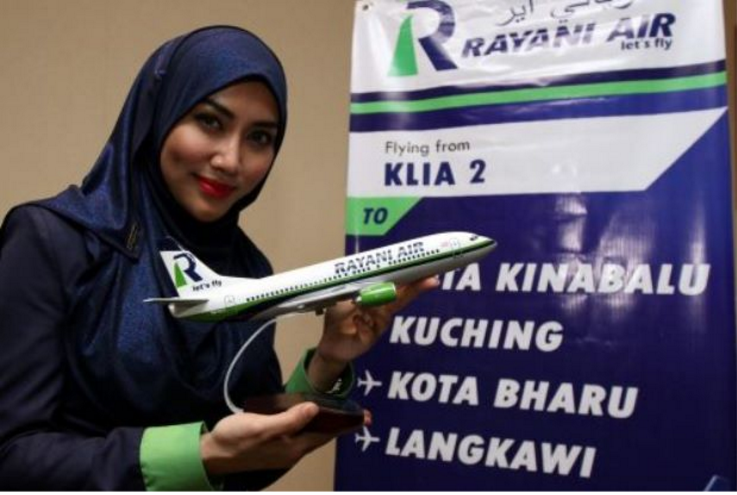 Given that the airline is Syariah-compliant, all in-flight meals served on board are completely halal and alcohol consumption is strictly prohibited. Also, all of its passengers will be given a complimentary welcome snack pack that contains a tasty muffin, fruit juice and peanuts. And for the passengers who want to grab an extra bite, they can also order the additional halal flight meals that the airline will be selling on board. Given that I have a fear of flying, I always say a prayer in my mind, I even go a step further and temporarily forgive all my enemies, just in case. This airline might probably understand that, because they too have a prayer recital for all the passengers before take-off. Although this is Malaysia’s first, it’s actually the fourth carrier in the world that is Syariah-compliant. 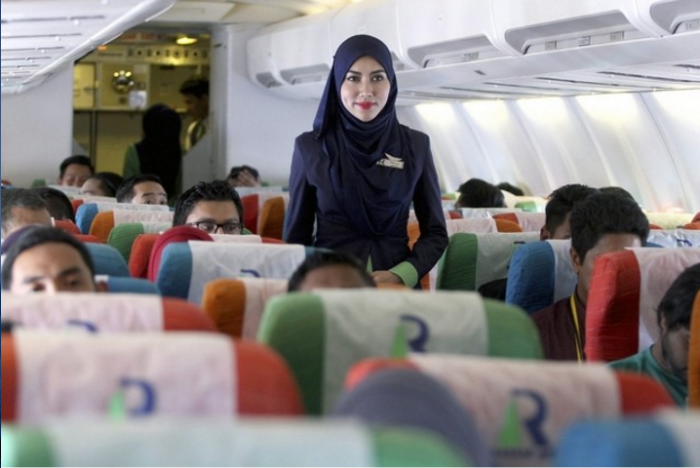 Other airlines include the Royal Brunei Airlines (RBA), Saudi Arabian Airlines and Iran Air. The airline currently covers only 5 destinations and it only operates 2 Boeing 737s and each flight can accommodate about 85 passengers. However, they will slowly expand both their coverage and their fleet. Due to its current small size, MIDF Research aviation analyst Tay Yow Ken told The Edge Financial Daily that the entry of Rayani Air shouldn’t affect existing Malaysian carriers. 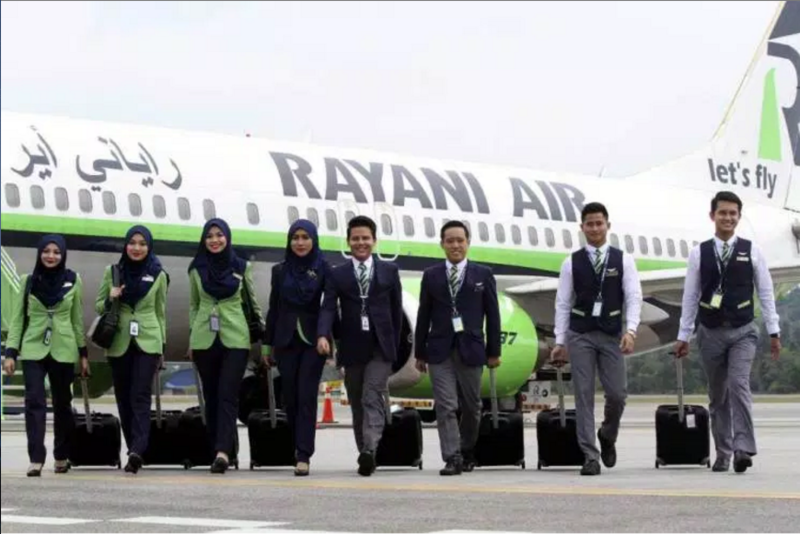 “We will have to see how it (Rayani Air) turns out first, and what its expansion plans are. 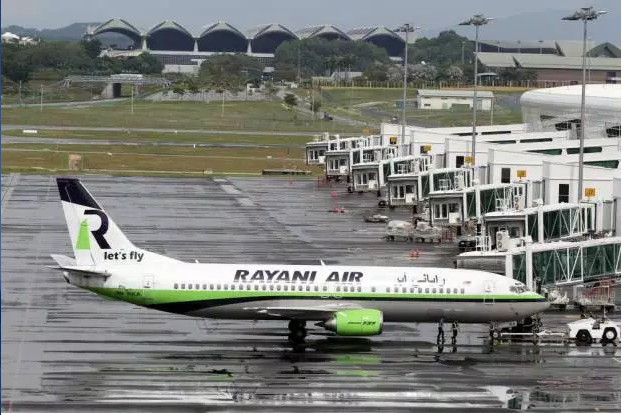 But based on its current fleet size, which is still very small, it is unlikely to pose a threat to AirAsia’s market share for now,” he told The Edge Financial Daily. Although, its secondary hub will be based in Kuala Lumpur International Airport, its primary hub will be based in Langkawi. This might be a move to attract more tourists to Langkawi. Given that the airline is new, you can in fact get yourself an Economy Promo ticket from Kuala Lumpur to Langkawi for less than RM100. If you’d like check out the fares, click here. Conventionally, new competition in a given industry is great for the customer in the sense that we have more options to choose from, and that often means that brands are forced to be better both in terms of pricing and in service. Looks like the customers won themselves a good deal.